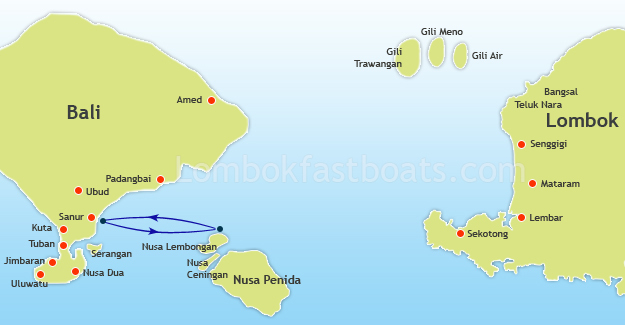 Rocky fast cruise, specialist boat transfer from Sanur (Bali) to Nusa Lembongan. Nusa lembongan is Bali’s version of romantic island getaway, with an unspoiled culture and an ambiance exceptionally tranquil and unhurried even by the standards of the neighboring paradise isle. Rocky fast cruise offers daily transfer to Nusa Lembongan 4 times per day. Scoot fast cruise will bring you to the paradise island “Nusa Lembongan”, when we can spend the time with snorkeling, diving, relaxing, swimming, sunbathing, touring and much more. Motorized with 500 horse power rated under international maritime. Code of Safety, 12.50 meter length, 3.00 meter width. Boat Capacity for 25 persons completed with life jacket. I am planning to go Nusa Lembongan around 9:00 am on 2nd of Jan from Bali and return to Bali around 17:00pm on 3rd of Jan. Is there any ticket available? Will your company arrange car to pick me up from my hotel and send me to another hotel on 3rd? How much will it be in total? Thank you.